In general terms, the Romans coined the name 'Gaul' to describe the Celtic tribes of what is now central, northern and eastern France. The Gauls were divided from the Belgae to the north by the Marne and the Seine, and from the Aquitani to the south by the River Garonne. They also extended eastwards, into the region that was becoming known as Germania. 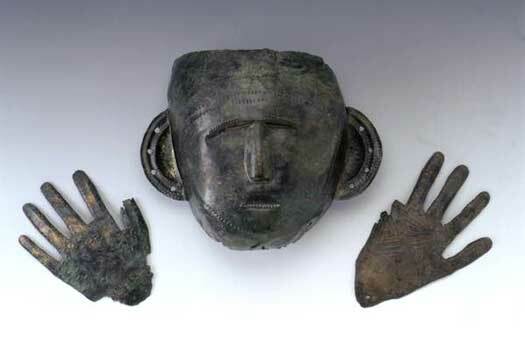 The Celts had ruled much of this in their heyday, but by the middle of the first century BC they were fragmented, and were either in the process of being expelled by the increasingly powerful Germanic tribes who were migrating southwards from Scandinavia and the Baltic coast, or they were being defeated and integrated into Germanic or other tribes. The Harii were located in the area which today roughly forms the meeting point between eastern Slovakia, southern Poland and western Ukraine, on the upper stretches of the Vistula. They were neighboured by the Helveconae, Manimi, Helisii, Lugii (perhaps the core of a confederation), Naharvali, Osi, and the Germanic Buri. The Harii name is the German 'har' or 'her', with a Latin plural '-i' added. Remove that plural and the name translates as 'army'. Note that in Germanic language the initial 'h' would originally have been a 'k' sound (producing 'kar' or 'ker'), marking it as a variant of the word for a spear: 'ger'. This derives from one of many similar words for a spear, which can be interpreted as an indication that the root may predate proto-Indo-European, making it very old indeed. Pokorny shows that the 'h' came directly from a 'g' rather than a 'k', which is another indication of antiquity, predating the proto-German 'h' derived from 'k'. The Harii were superior in strength to their neighbours, and savage according to Tacitus, but they made 'the most of their natural ferocity by the help of art and opportunity'. They carried blackened shields and their bodies were dyed, presumably using woad. They chose dark nights for battle, and were able to strike terror into their foe thanks to their unnatural appearance, and perhaps also due to an element of psychological warfare to spook their opponents before they ever came to blows. Despite this apparent skill in battle, the tribe appears to have been absorbed, either into the Lugii confederation or by stronger Germanic tribes. Even the use of 'tribe' to describe them may be in error. They may instead have been a group of smaller units - a confederation of some kind - but they were too poorly documented for anything other than speculation on this point. The Harii probably belong to the Hallstatt culture of Celts, along with the Bebryces, Boii, Cotini, Helisii, Helveconae, Manimi, Naharvali, Osi, and at least some elements of the later Lugii. They are to be found around the central German lands, and in Bohemia, Moravia, Slovakia, and the edges of Poland and Ukraine. Around this time a large-scale expansion begins that sees many Hallstatt Celts migrate outwards, towards northern Italy, Gaul, or Iberia. Many others remain, and control the region until pressure from newly-arriving Germanic tribes begins to erode their hold in the second and first centuries BC. Writing in AD 98, Tacitus mentions the Lugii. He is of the opinion that they are a federation of the smaller Gaulish tribes, the Harii, Helisii, Helveconae, Manimi, and Naharvali. Tacitus also mentions the Buri but not as members of the Lugii. In his description of the Harii he says: '...not only are they superior in strength to the other peoples I have just mentioned, but they minister to their savage instincts by trickery and clever timing. They blacken their shields and dye their bodies, and choose pitch dark nights for their battles. The shadowy, awe-inspiring appearance of such a ghoulish army inspires mortal panic; for no enemy can endure a sight so strange and hellish. Defeat in battle starts always with the eyes.' The use of woad is very telling. This is specifically a Celtic practice. By this time, the Suevi have formed a wide-ranging confederation of tribes that are all known individually but which are counted as being Suevi. The vast number of tribes included in the confederation include the Aestii, Angles, Aviones, Buri, Cotini, Eudoses, Gutones (Cotini again), Hermunduri (who have virtually ceased to exist as a recognisable independent people), Langobards, Lugii (a name applied to several tribes: the Harii, Helisii, Helveconae, Manimi, and Naharvali, although these are not mentioned at this time), Marcomanni, Marsigni, Naristi, Nuitones, Osi, Quadi, Reudigni, Semnones, Sitones, Suardones, Suiones (Swedes), and the Warini.